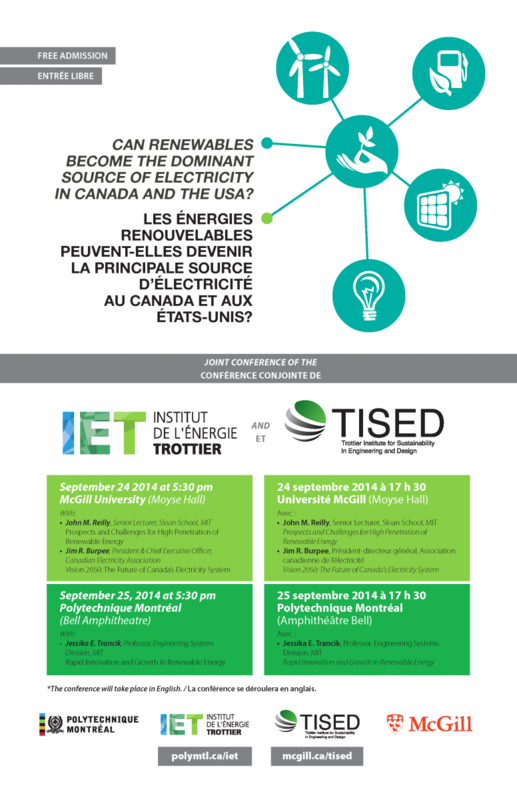 On September 24th & 25th, 2014, TISED and Institut de l’énergie Trottier (IET) at Polytechnique Montréal co-hosted events on exploring the potential for renewable energy penetration in Canada and the USA. We were honored to have experts from MIT and the Canadian Electricity Association (CEA) speaking at these events and sharing their insights on critical issue related to renewable energy. Learn more about these events and renewable energy below! Renewables electricity sources are a seemingly attractive low-carbon option to substitute for coal or gas generation. Regional availability of high quality wind and solar resources varies, but at least in the United States, most regions have significant resources. Expanding the options to biomass, hydroelectricity, and geothermal creates greater opportunities. A recent NREL led study concluded that high penetration renewable scenarios were technically feasible, and while the cost of electricity was higher than today it was not out of line with other estimates the electricity price impacts of reducing US carbon emissions. The cost per MWhr of installed capacity of wind and solar have come down substantially in recent years, and further reductions are foreseen. The bigger challenge with intermittent renewables is matching an intermittent and uncertain supply with load. to some extent the supply of solar and wind vary in complementary ways, biomass, hydro, and geothermal offer the possibility altering dispatch, and options exist for energy storage. Further grid integration and additional transmission can also play a role one evening out supply and demand by taking advantage of geographic anti-correlation. While those options were all considered, back-up fossil generation capacity also played a substantial role. The study addressed grid integration issues while highlighting the need for further investigation of the details of grid management with dispersed and variable renewable resources. By 2050, the majority of nuclear and fossil fueled (coal, oil, gas) generating stations operating today will be life expired. There are a number of academic and other groups doing studies that suggest what the generation mix in 2050 could look like, but few describe what will make those potential futures a reality. CEA's Vision 2050, rather than predicting the future, discusses the key factors that will shape the future and makes recommendations on how to achieve a path to a lower carbon economy in North America, while balancing reliability, affordability and sustainability. While 2050 may seem like a long way off into the future, the reality is that decisions made in the next 10 to 15 years will determine what our electricity system will look like in 2050. Renewable energy technologies have sustained high growth rates over the past 30 years , with solar and wind energy production growing at roughly 30% per year, due to a combination of technology cost improvement and public policy incentives. This presentation will share new research that has uncovered reasons for these unprecedented fast rates of improvement, and has probed the prospects for renewable energy to produce a significant share of global electricity. This is a critical time in the development trajectories of clean energy technologies, and in global efforts to mitigate climate change. As the data suggest, a technology transition may be within reach. Read more: Trancik, J.E., 'Back the Renewables Boom', Nature, Vol. 507, 2014, pp. 300-302. 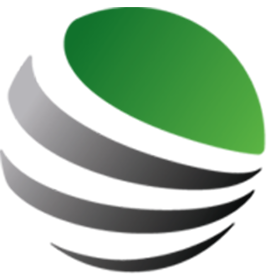 These talks are brought to you by the Trottier Institute for Sustainability in Engineering and Design (TISED) at McGill University and the Institut de l’énergie Trottier (IET) at Polytechnique Montréal.